Any Latics fans who expected the team to cruise through the Championship got a shock on Saturday as recently promoted Bournemouth deservedly won 1-0 at the Goldsands Stadium. Lewis Grabban’s goal on 43 minutes following a poor back pass by James Perch gave the Cherries all three points but Wigan’s below par performance will be worrying for the fans. The defeat was further compounded by Callum McManaman’s red card. The young winger had only been on the pitch for three minutes as a substitute, when he was controversially dismissed. The defeat could have been even worse if it was not for the heroics of keeper Scott Carson who saved a Brett Pitman penalty and pulled off several top quality saves to deny the home side. The first half started in wet conditions with both sides struggling to get a foothold in the game. Although James McCarthy did have a shot tipped over from distance, and Ben Watson headed over following a corner, it was the Cherries Scottish winger Ryan Fraser who was providing the biggest threat, firing in some dangerous crosses from the right. The home team took the lead just before half time following a sloppy piece of play by James Perch. The former Newcastle United man played a back pass from his own half which gave Lewis Grabban the perfect opportunity to pounce and round Carson before slotting the ball home. 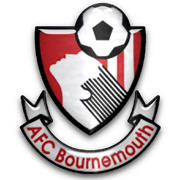 Bournemouth nearly increased their lead early in the second half when Jean Beausejour clumsily caught Pitman on the edge of the box and referee Graham Scott pointed to the spot, but Carson produced an excellent full length save to deny Pitman. Owen Coyle made a positive double substitution on 56 minutes bringing on James McClean for Beausejour and Callum McManaman for James McArthur, but the substitution backfired when McManaman was red carded after only three minutes on the pitch. The young Liverpudlian lunged to win the ball but also caught Pitman with his follow through and referee Scott decided the tackle was worthy of a straight red card. The reaction of the Bournemouth players and management probably contributed to the dismissal, but McManaman should take some of the blame for such a reckless challenge. With only ten men Wigan struggled to pose a threat to the Cherries goal, but Leon Barnett did manage to get a header on target but his effort was blocked on the goal line by Marc Pugh. Grant Holt was ineffectual and the normally industrious Latics midfield looked off the pace. But despite Wigan’s failings Bournemouth deserve credit for not giving Wigan time on the ball and responding positively to the 6-1 defeat to Watford in their last game. Wigan certainly had an off day but the result also reinforces the view that there are no easy games in the Championship and the team will have to improve significantly if they are to mount a challenge for promotion. Owen Coyle will be aware that the club are entering a critical phase in the season with three home games coming up against Doncaster, Middlesbrough and Nottingham Forest and the closure of the transfer window on September 2nd. 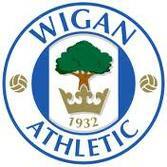 McCarthy, Maloney, Beausejour and McManaman have all been the subject of transfer speculation and several Premiership clubs will be looking enviously at Wigan’s midfield. If the club can get through this period with a good points return and not lose any key players the manager will be a very relieved man. This entry was posted in Bournemouth, Callum McManaman, Lewis Grabban, Wigan Athletic and tagged Bournemouth, Callum McManaman, Lewis Grabban, Scott Carson, Wigan Athletic. Bookmark the permalink. Reference “The reaction of the Bournemouth players and management probably contributed to the dismissal” – the referee had immediately gone to his back pocket (rather than his front from which the notebook came for earlier cautions) and his hand remained there for some seconds before the red came out. I had commented to the person sat next to me that he was off even before the card appeared. The ref had already decided to dismiss.